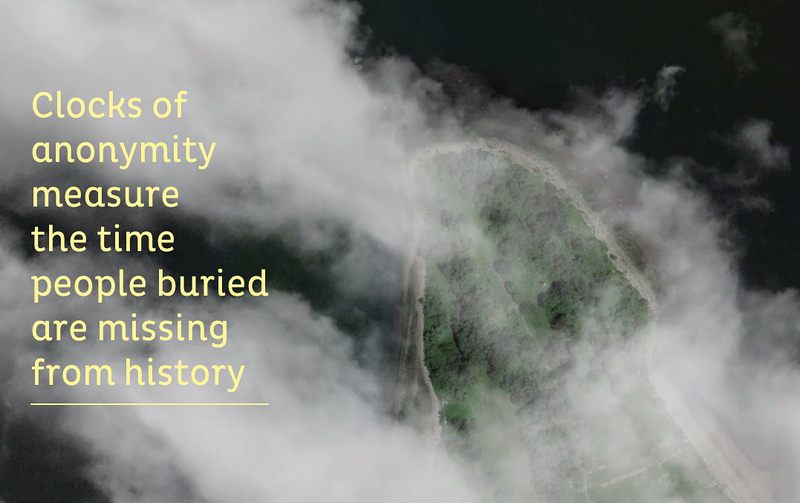 The over one million people buried on New York City’s Hart Island are unified by their invisibility. 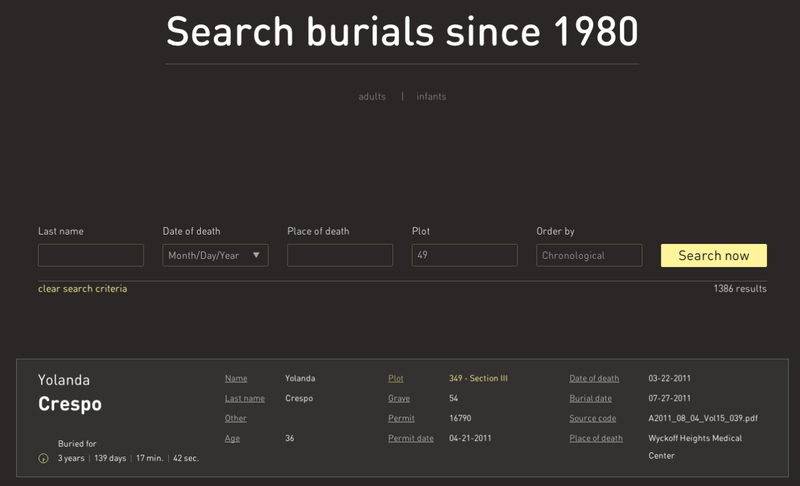 With no tombstones or regular public access, the bodies resting in layers in the ongoing mass grave are mostly forgotten, even though the cemetery is the largest tax-funded burial ground in the world. The Traveling Cloud Museum, an endeavor by the Hart Island Project launched last month, is a storytelling platform to return identities to these people. Hart Island is one of those places that borders on urban legend: an uninhabited landmass just east of the Bronx in the Long Island Sound, where convicts from Rikers Island inter the unknown or unclaimed dead, among them the homeless, stillborn babies, unidentified remains, the elderly, the poor, and those otherwise propelled by bleak circumstances into the potter’s field, the final option for New York City’s indigent dead. 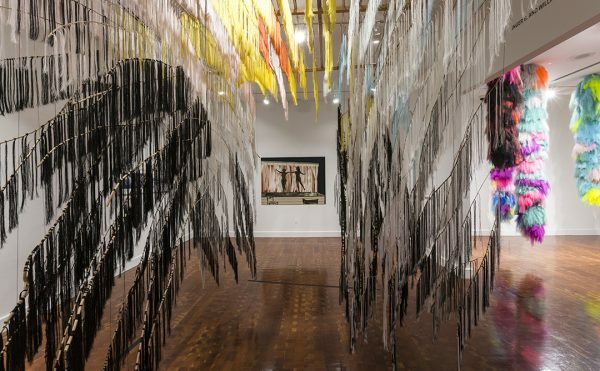 Artist Melinda Hunt, founder and director of the Hart Island Project, sees the Traveling Cloud Museum as a way to give these forgotten people a story, something she’s been doing in her Shades of New York portraiture project. 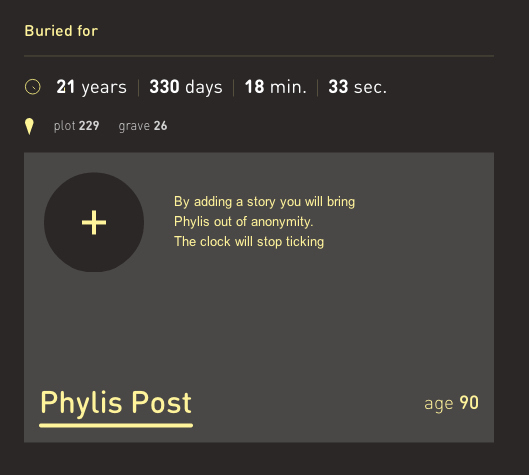 The Museum, collaborated on with graphic designers Studio Airport, has a “clock of anonymity” for 62,000 people buried since 1980 (although burials on Hart Island began in 1869) that starts counting from from when they were interred. 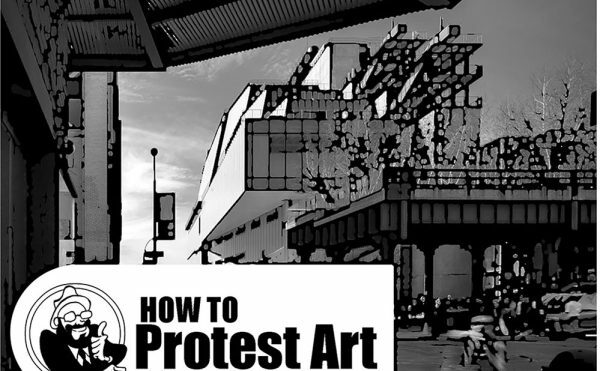 Visitors “are invited to bring that person out of anonymity by adding a story and stopping a clock that measures the interval disappearance for that individual,” Hunt explained to Hyperallergic. 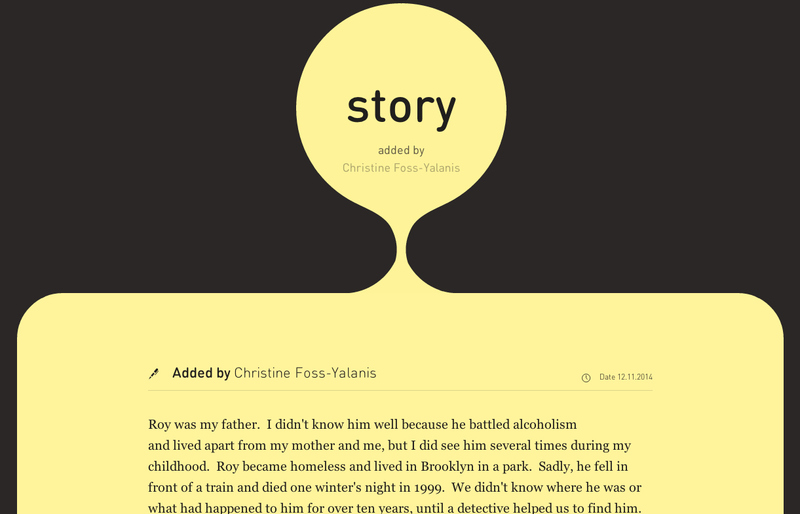 For example, a story for Roy Foss added by his daughter Christine chronicles how he battled alcoholism, became homeless, and fell off a train in 1999. “We didn’t know where he was or what had happened to him for over ten years, until a detective helped us to find him,” Christine writes. 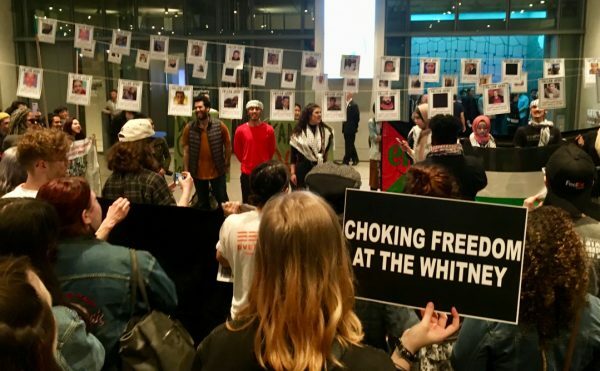 Most of the people are currently blank as the Museum just started, but Hunt hopes that friends, family, and anyone with an interest in giving these people a presence will contribute. Accompanied by “Sonata XVI” and “Sonata XV” by John Cage, as performed by David Greilsammer, the website greets visitors with a video journey right up to the Hart Island ferry dock, with glimpses of coffins being lowered into the ground and abandoned buildings looming ominously on the shore. Although Hart Island is technically open to the public, getting there is as restricted as accessing a prison (the island is managed by the Department of Correction), and viewing of the actual grave sites is completely restricted. The access issue is the subject of a class action lawsuit filed by the New York Civil Liberties Union last month. One of the important features of the Traveling Cloud Museum is an interactive map that shows plots and sections. 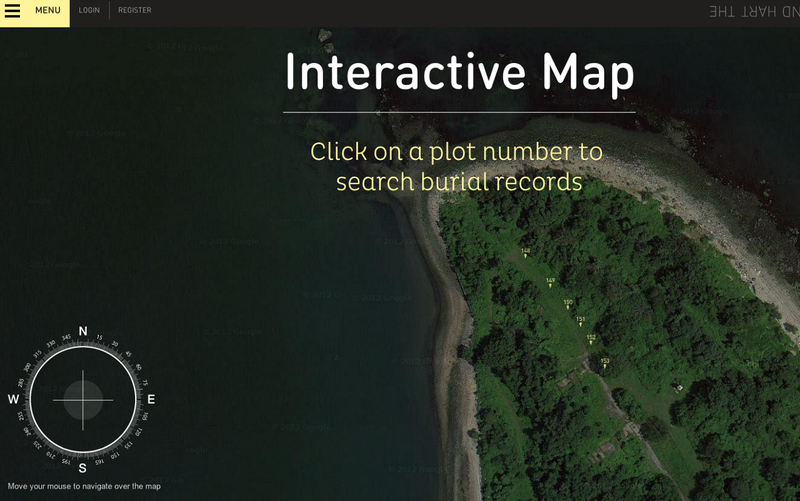 Hunt stated that by providing a “map whereby people can navigate to burial locations without prison supervision,” it “makes the island seem accessible.” This “deconstructing” of a mass grave into stories can give this island of the dead a public narrative, something it’s long been missing, isolated out in the waters. 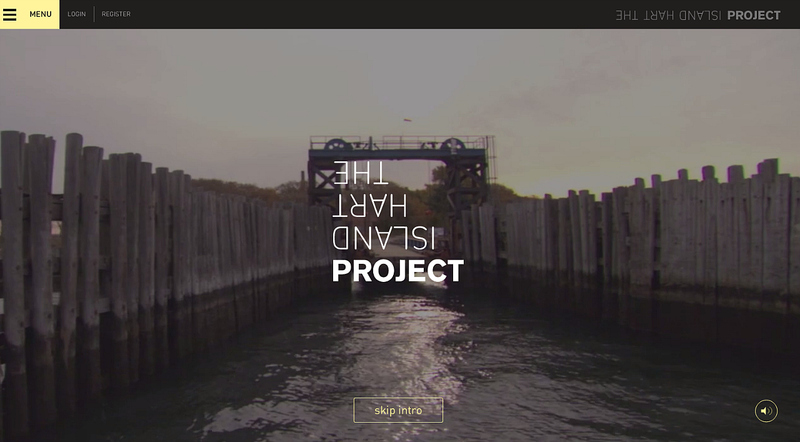 Explore and add stories to the Traveling Cloud Museum at the Hart Island Project.